Here is another thank you note. 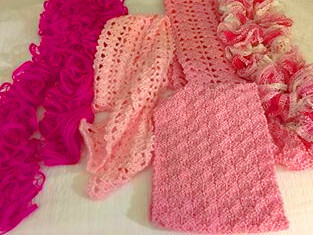 At once both difficult and touching ..
We were contacted by Kristie at a cancer center in Alabama with a request for some scarves for their patients. Which we were only too glad to comply with. The thank you letters sometimes come as emails, here is another one.